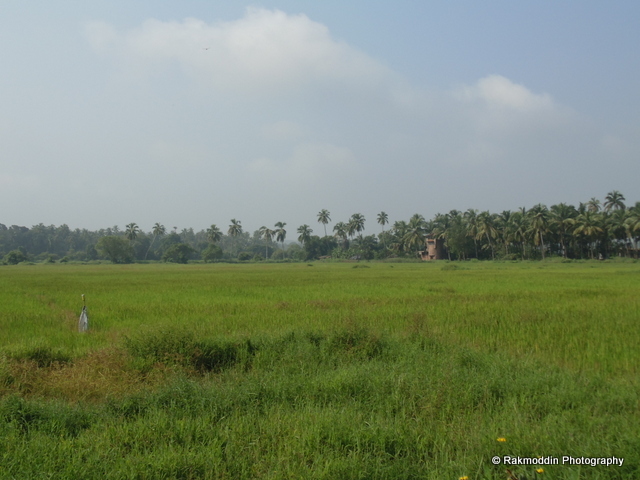 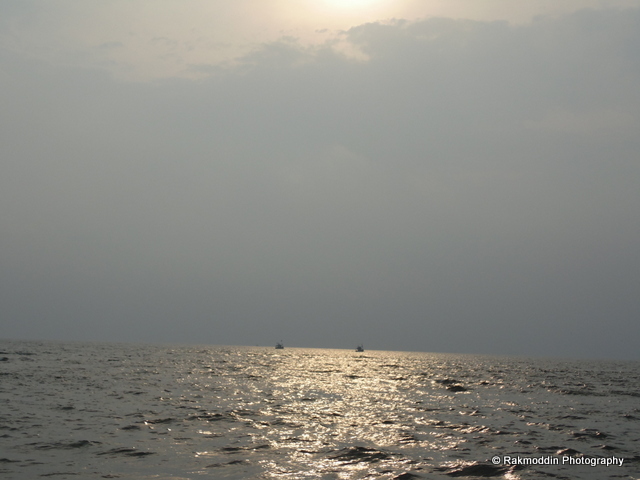 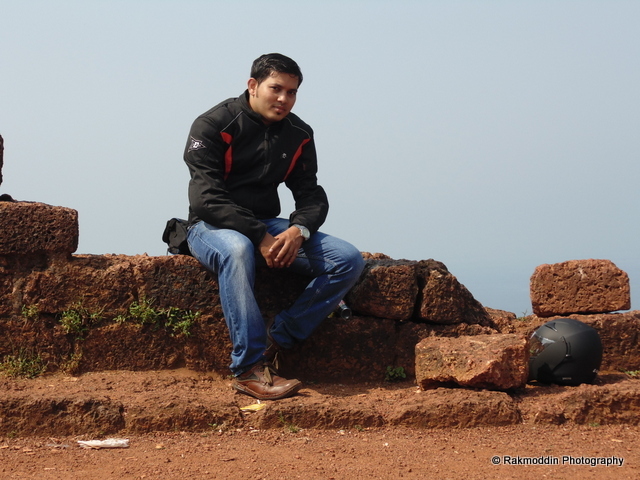 Pune to Goa: Day 2 - Riding in North Goa - Journey & Life. 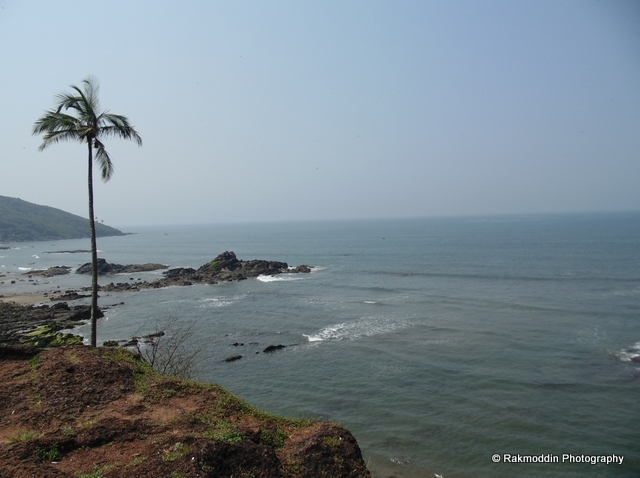 After having a amazing bike riding from Pune to Goa, we started exploring North Goa as we had less time so priorities Chapora fort first and started riding in the narrow roads of Goa. 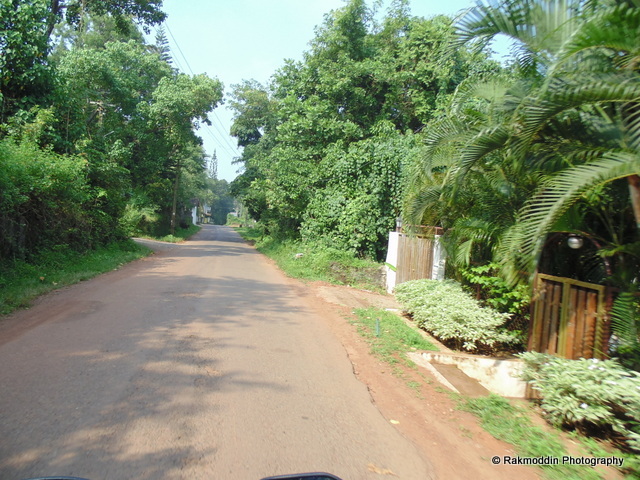 It was extremely amazing riding in Goa which remind me my stay in Kerala which had a same village construction and road are almost similar. 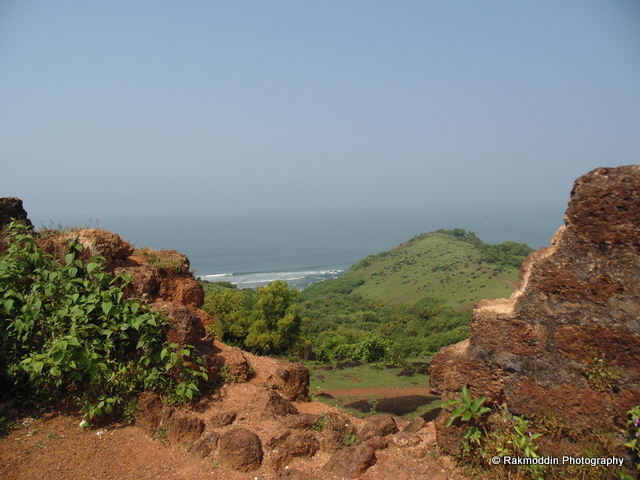 We started in morning breeze and reached Chapora fort in a short time and enjoyed the splendid view of Chapora and Vagator Beaches from top. 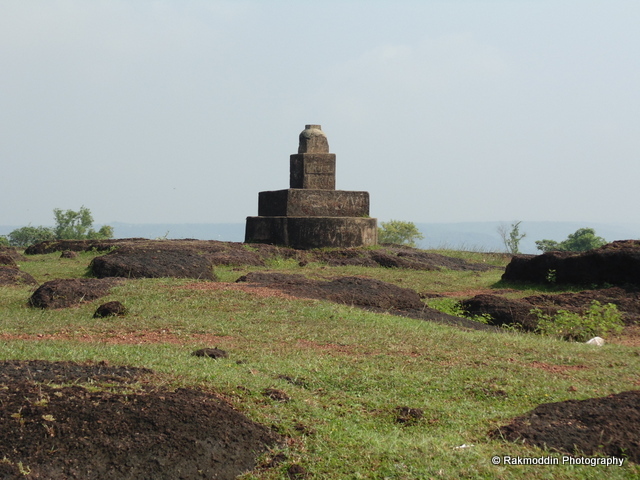 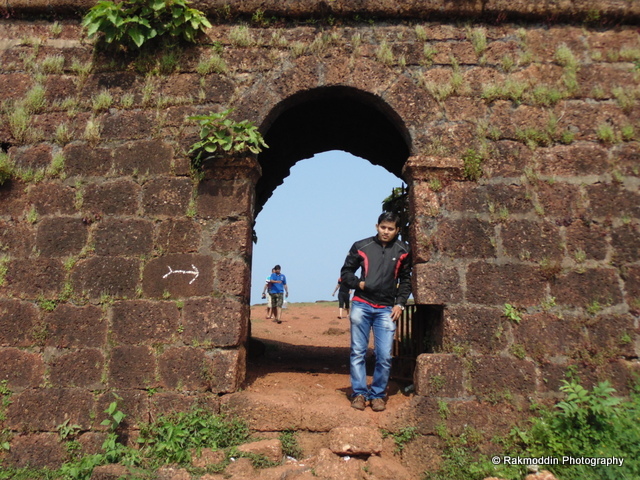 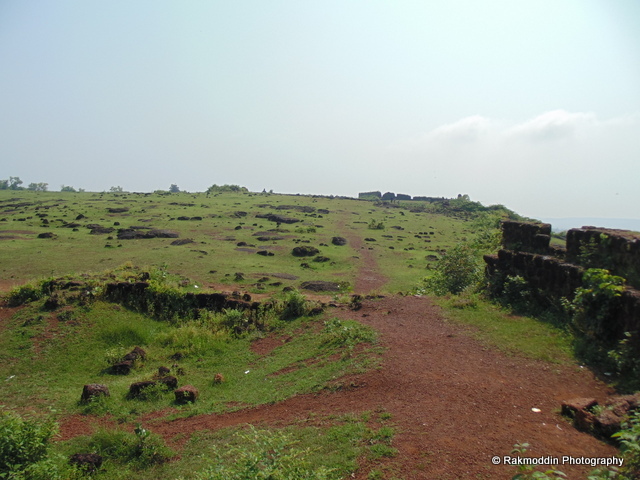 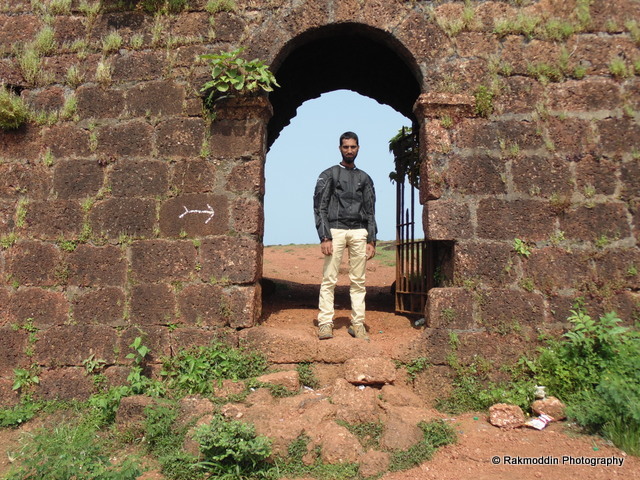 This fort is good to visit but it is does not have stunning construction like forts in Pune. 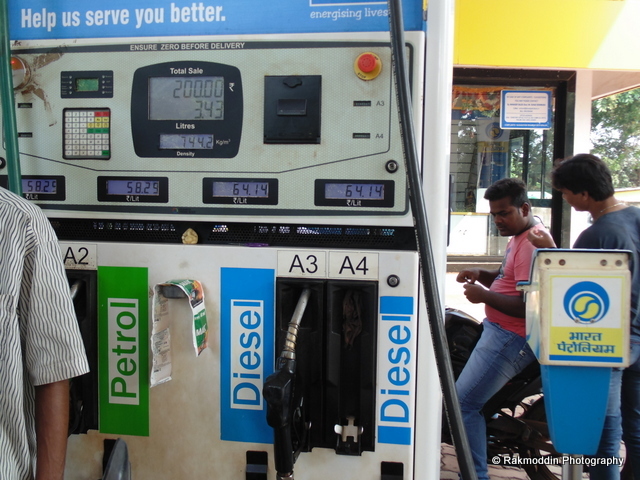 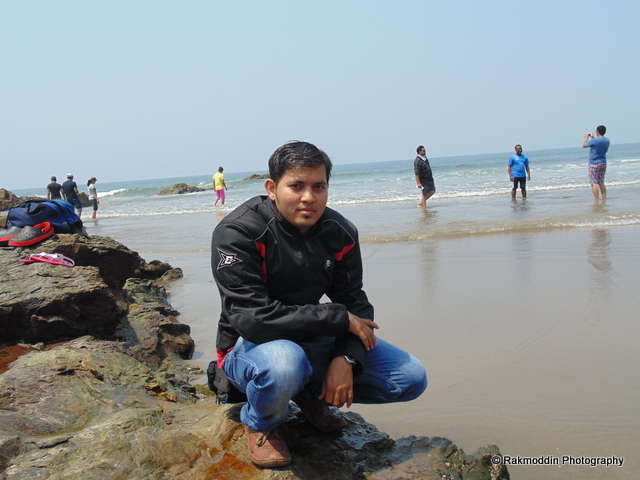 Goa is best place for biker as petrol price is only 58 Rs/Litre which is without tax. 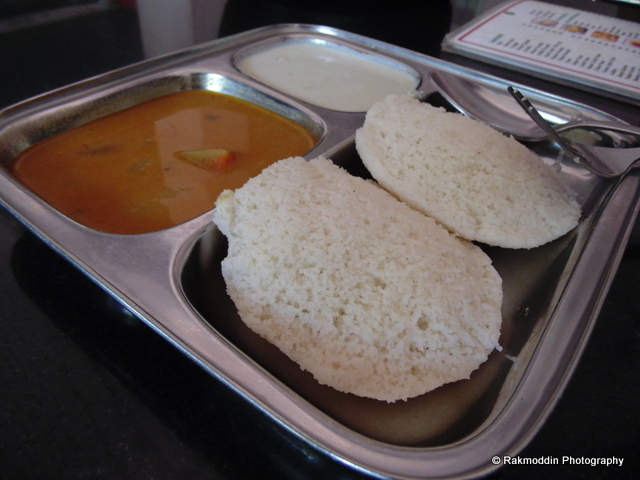 Enjoyed Idli in breakfast but I personally feel Goa does not have good food in any of the hotels. 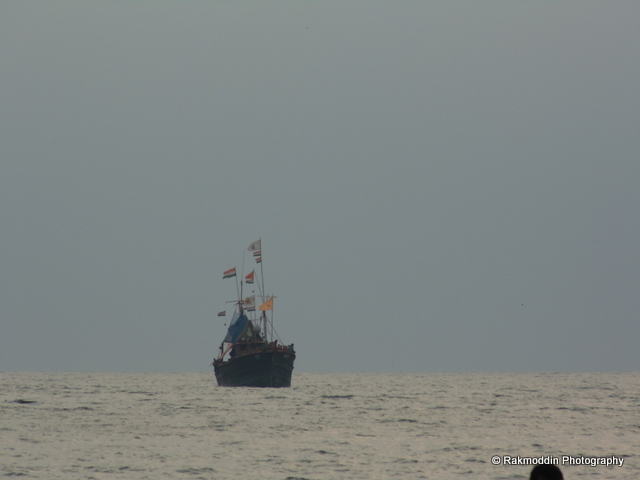 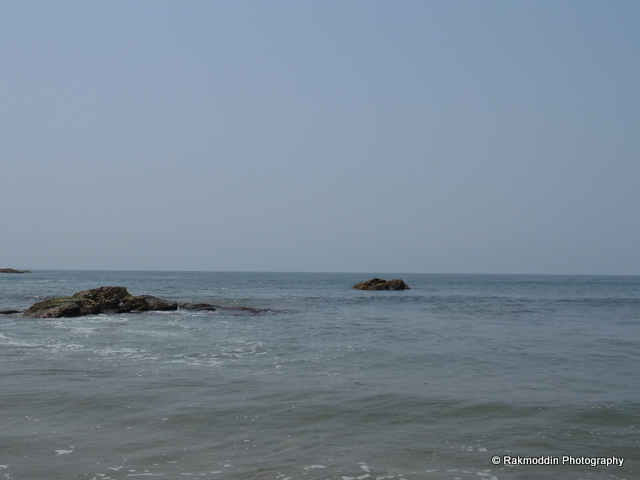 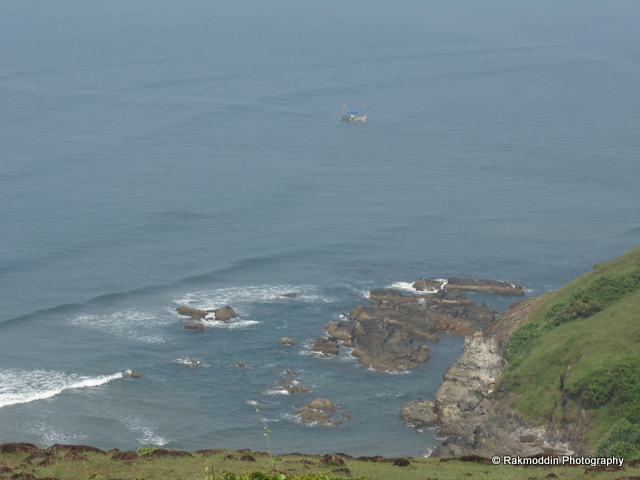 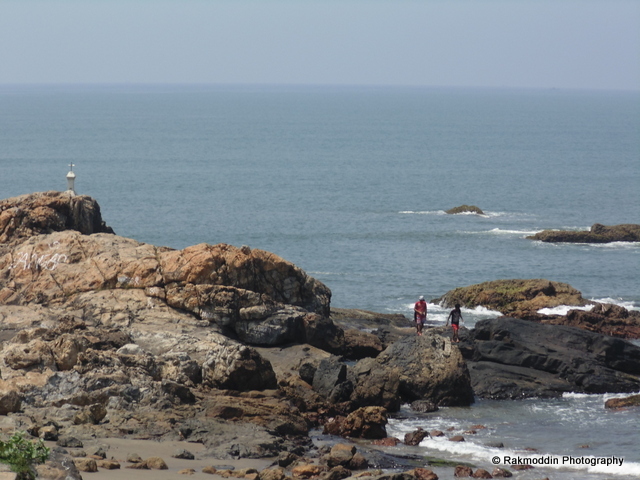 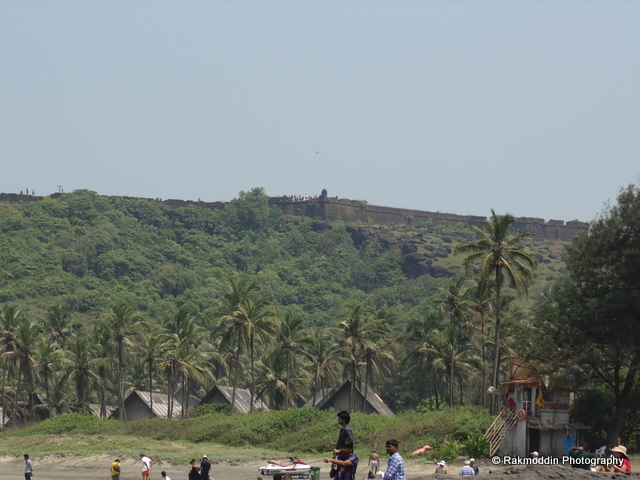 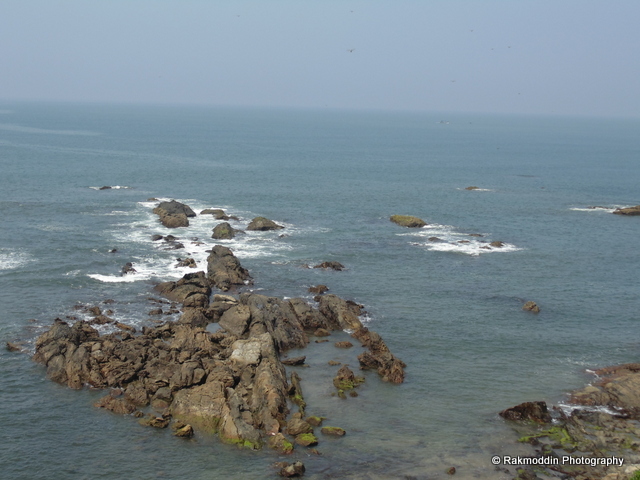 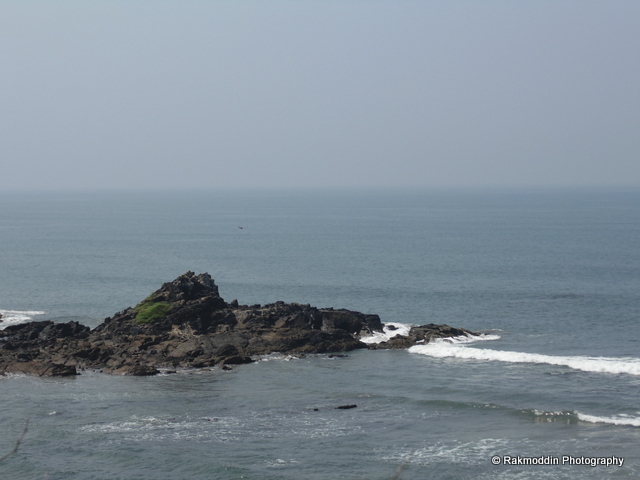 Soon after exploring Chapora Fort we headed towards Vagator Beach which is exactly next to the fort. 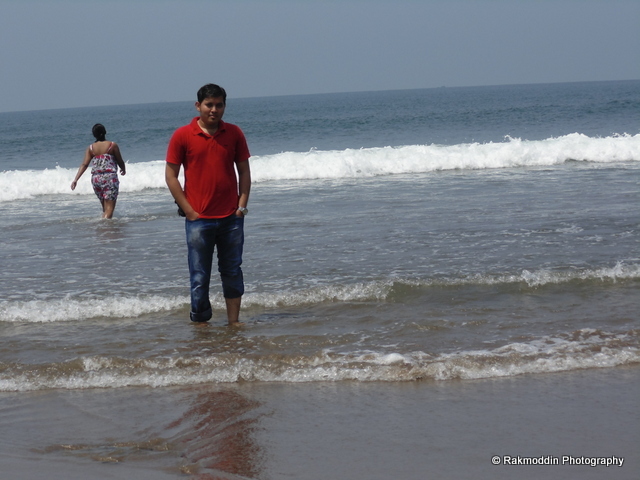 This was the happening place and real beauty of beach was here. 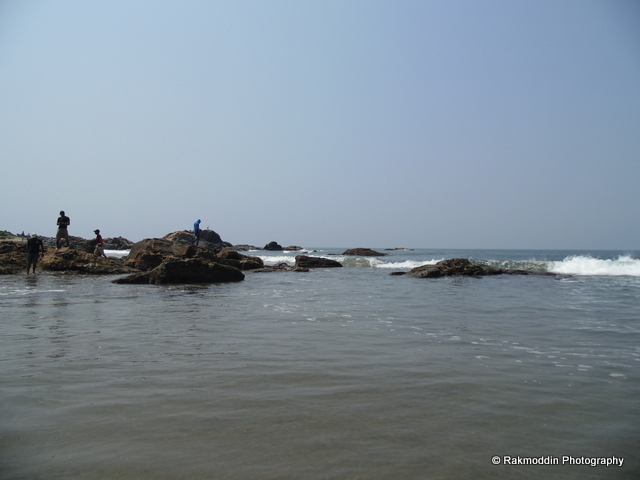 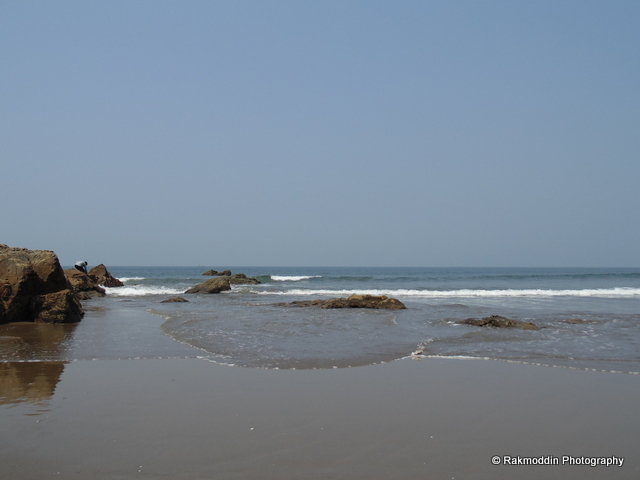 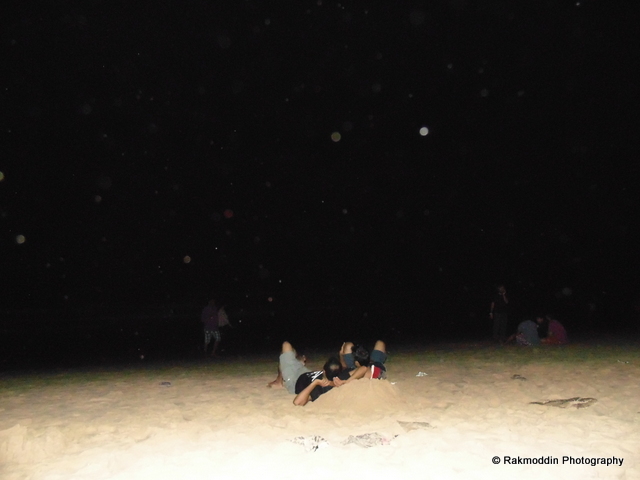 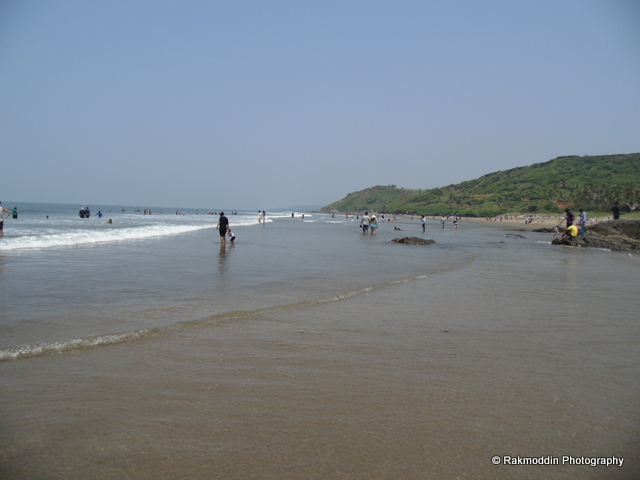 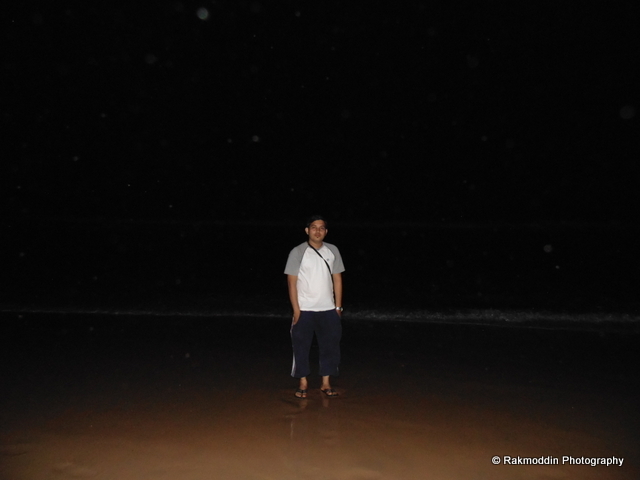 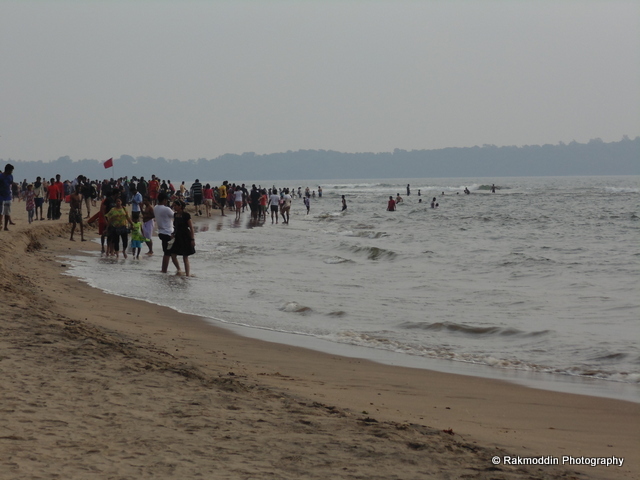 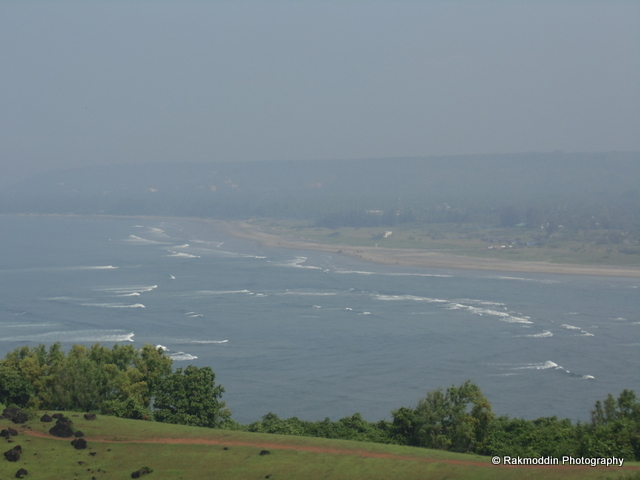 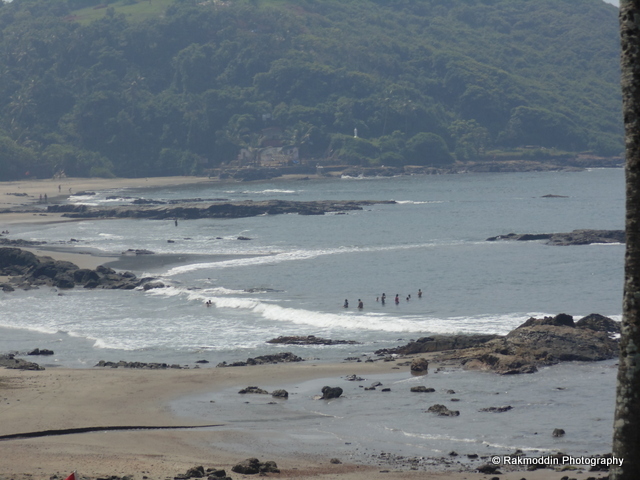 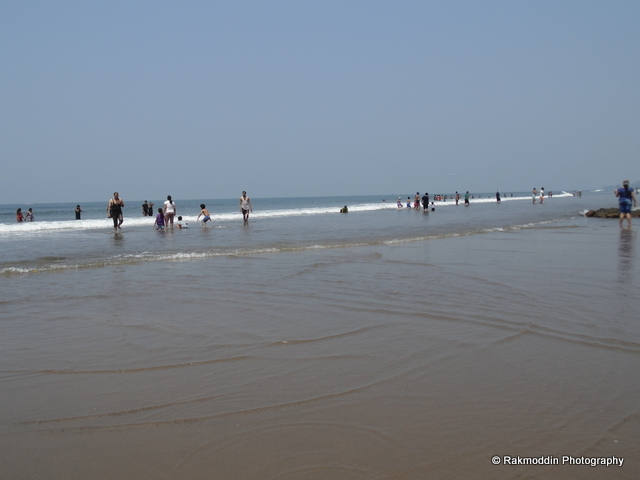 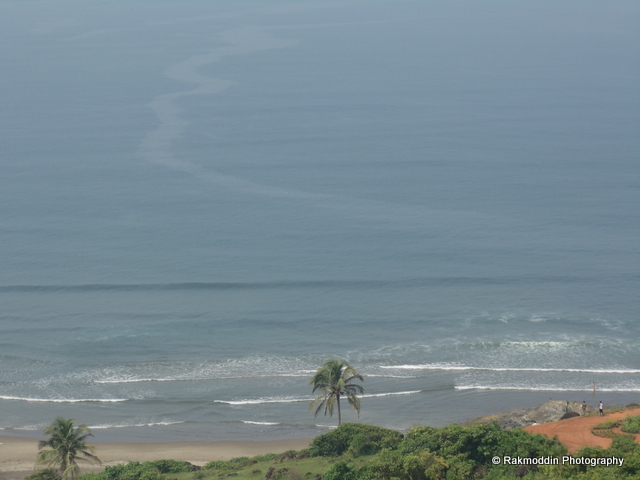 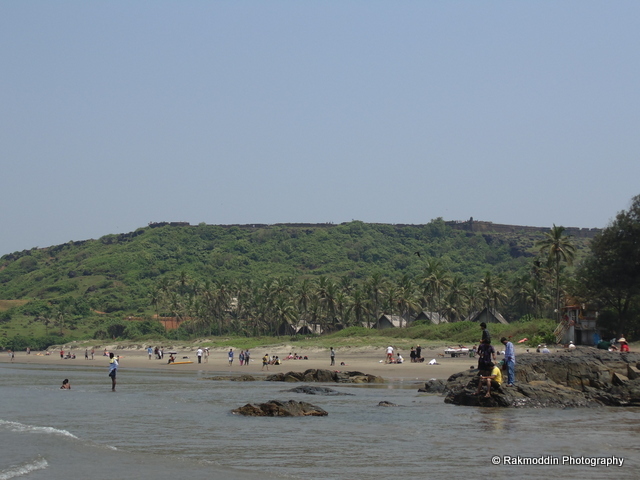 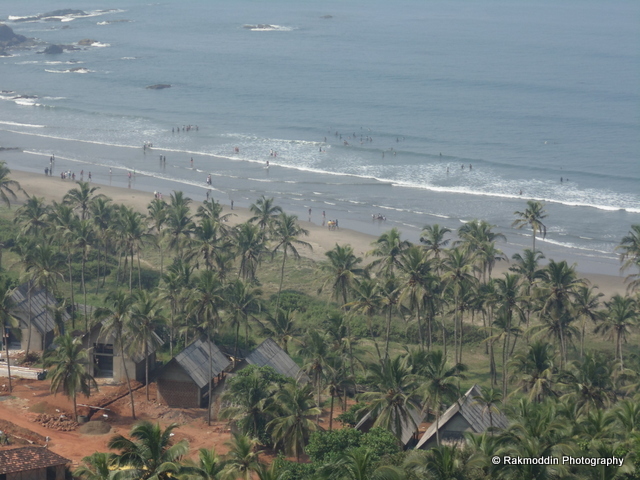 This is the most crowed beach in North Goa but it is the long stretched beach. 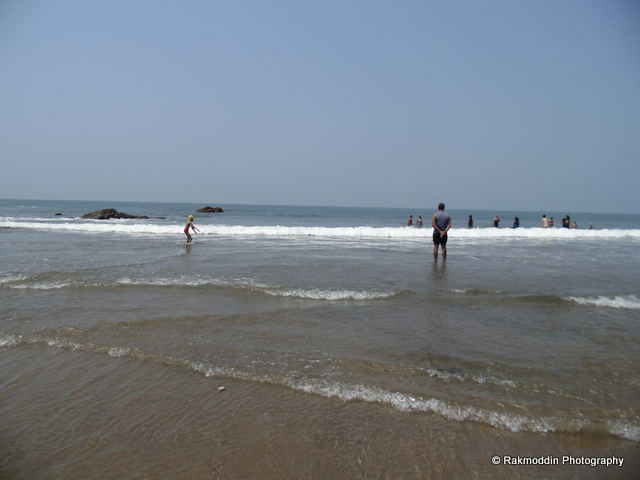 Vagator beach is split into two part main part which holds the parking area, stalls and snack centre on one side. 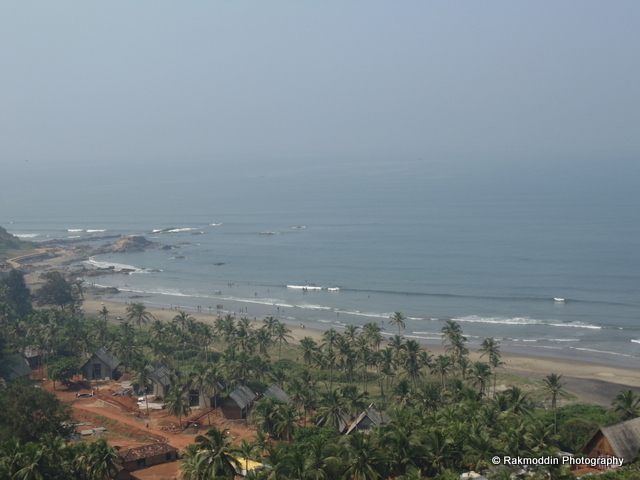 If u are facing towards sea the right side is the North Big Vagator Beach and left is Ozran Beach which is also called as Little Vagator Beach. 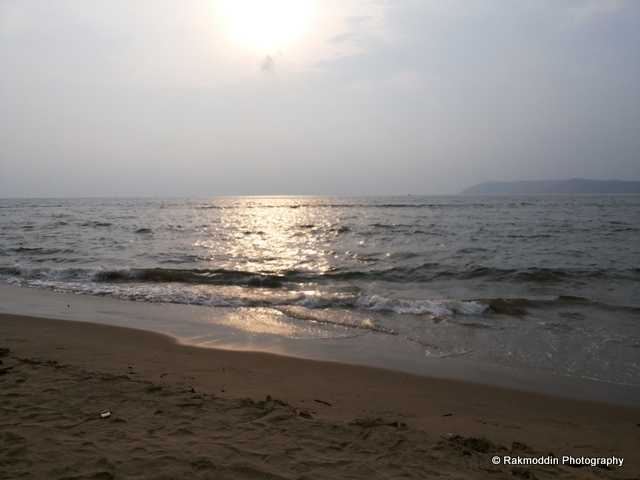 We took some rest in afternoon as it was too sunny and later in the evening we headed toward miramar beach which is famous for sunset view but unfortunately we missed some part of it due to cloudy weather but at the end we found some breathtaking sunset view on miramar beach. 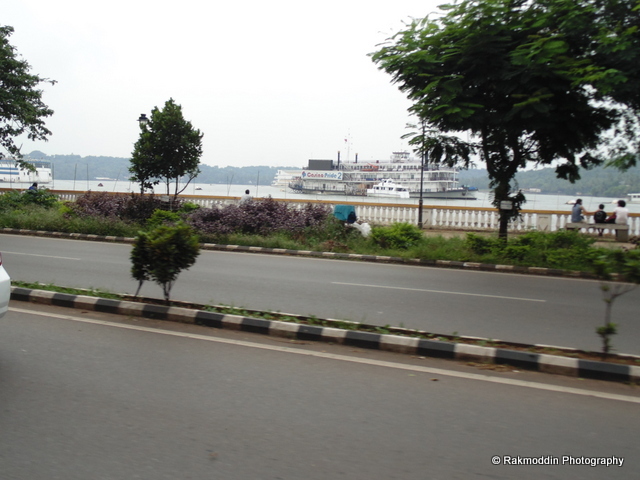 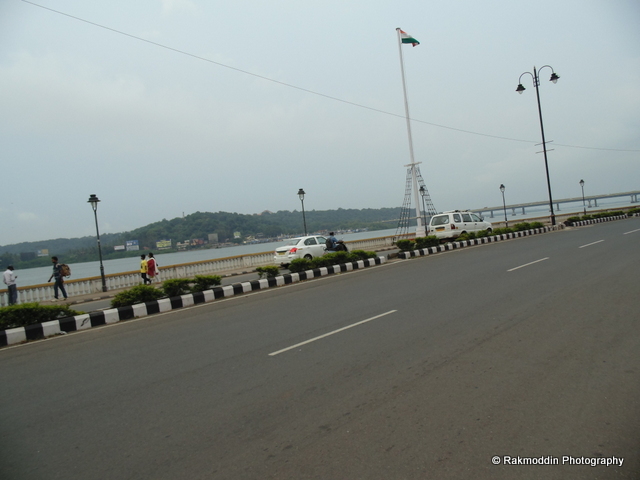 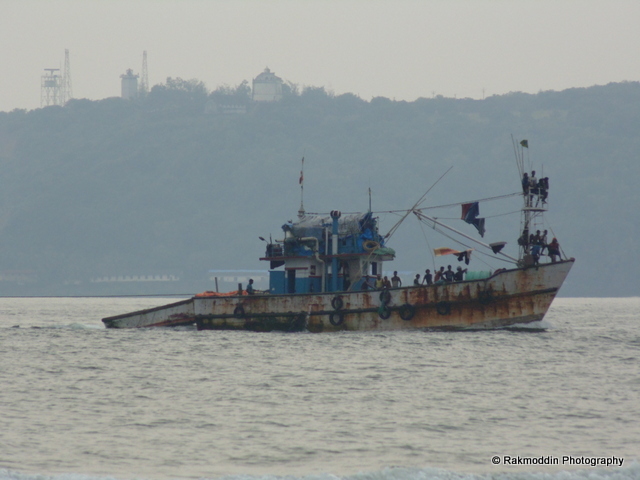 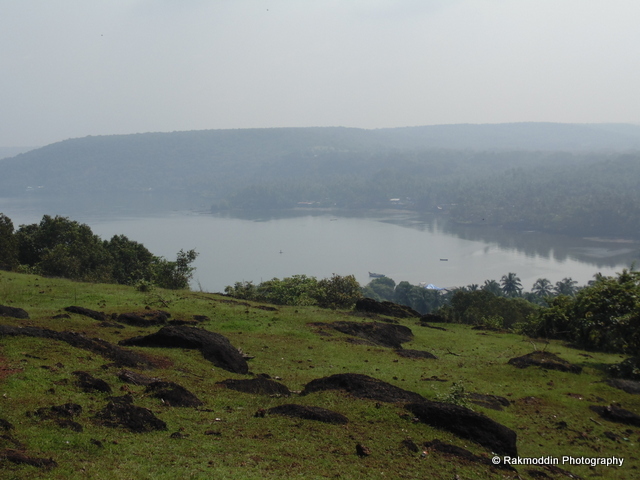 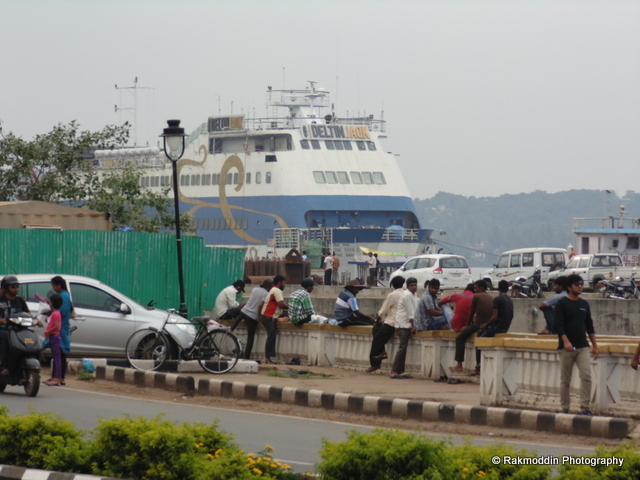 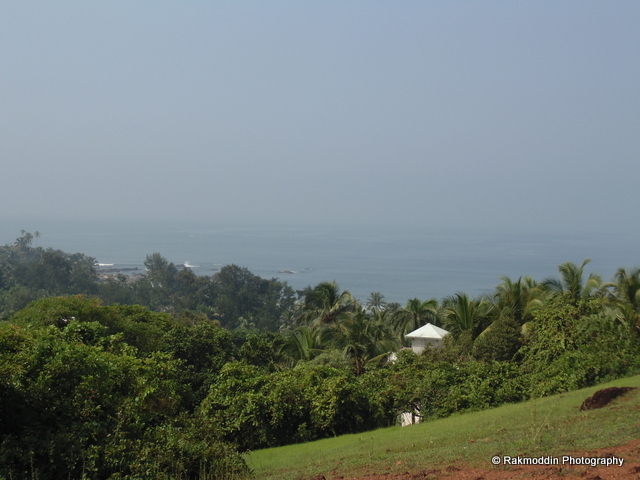 Panjim city is well designed and well maintained and it give splendid view of sea and beaches. 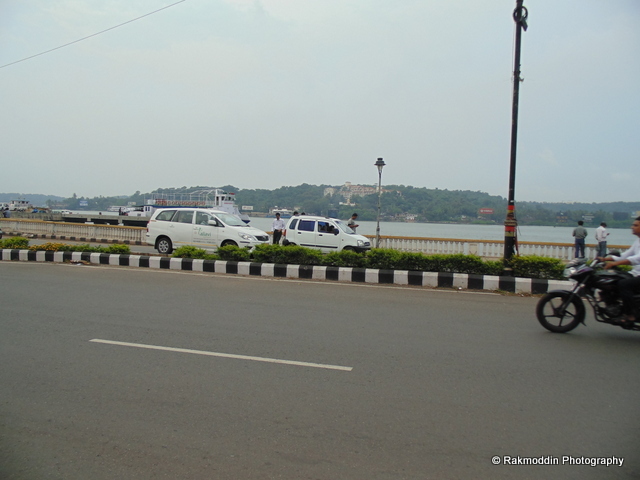 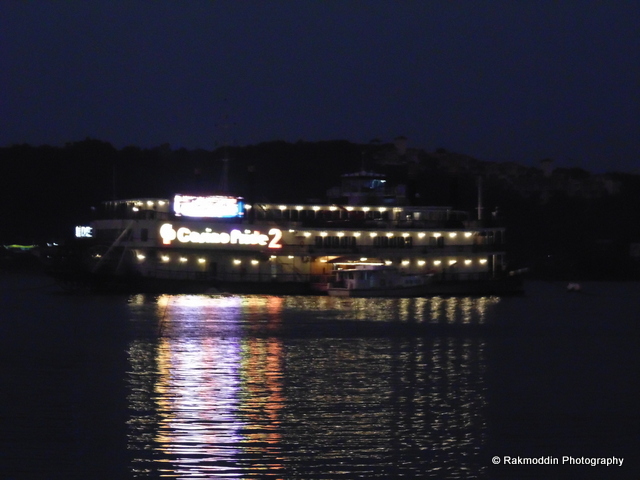 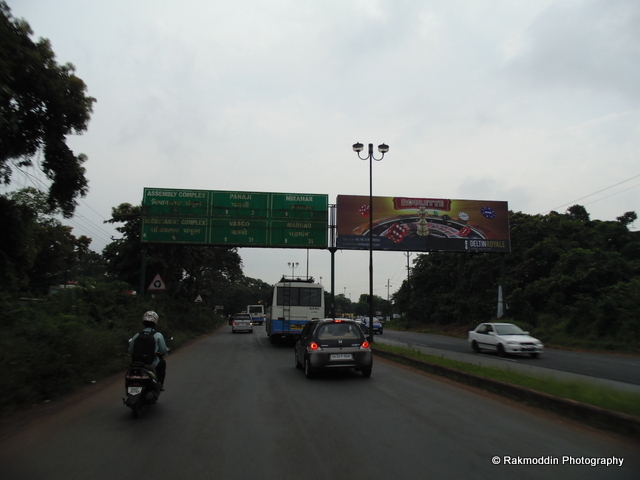 It is the capital in Goa and Panjim means "Land that never floods". 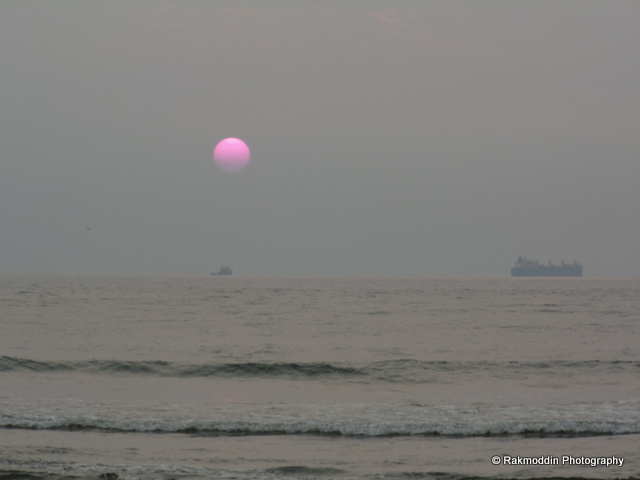 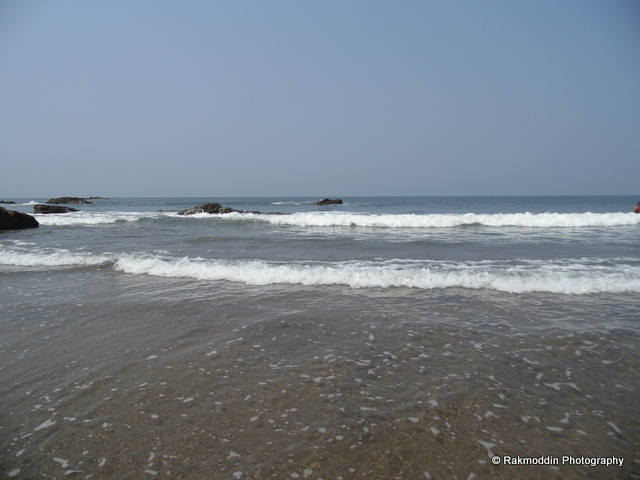 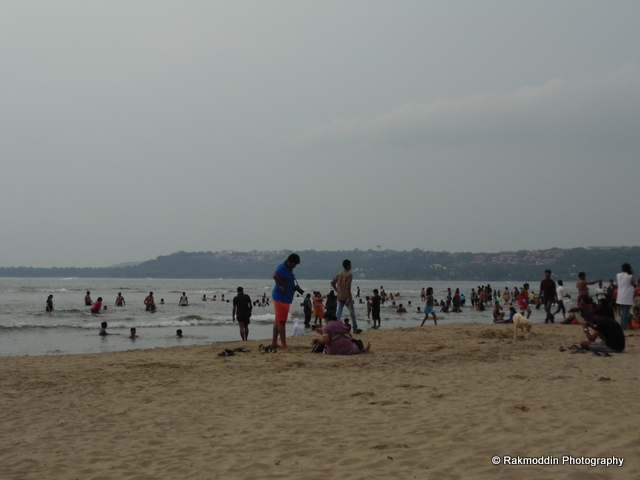 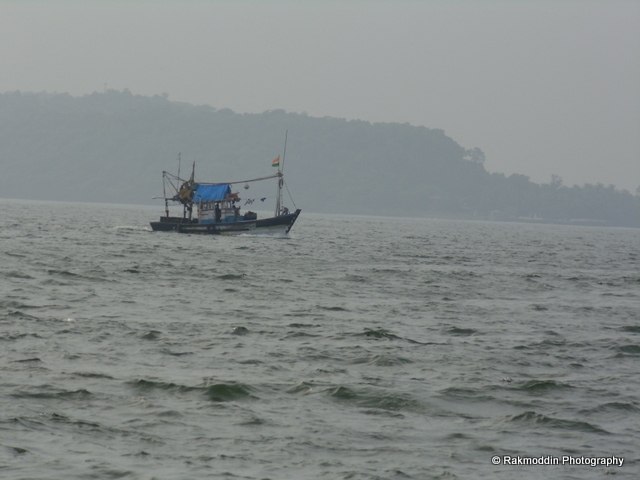 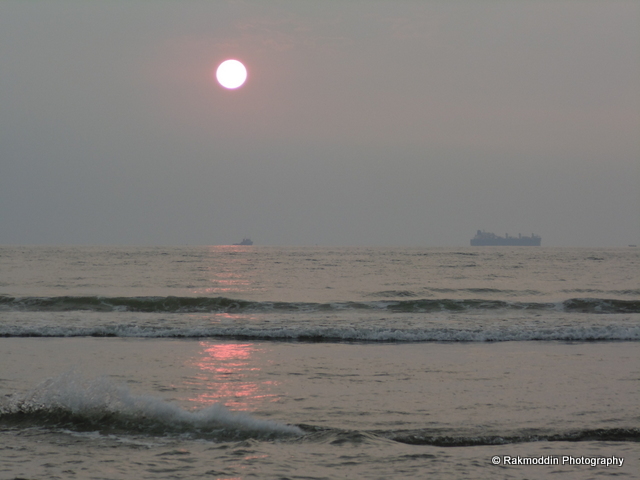 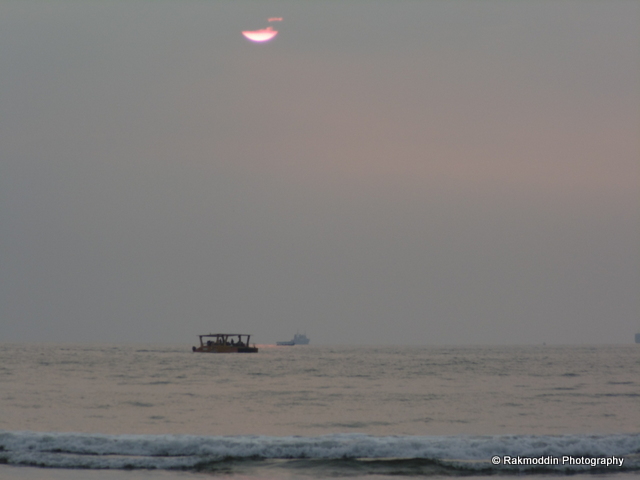 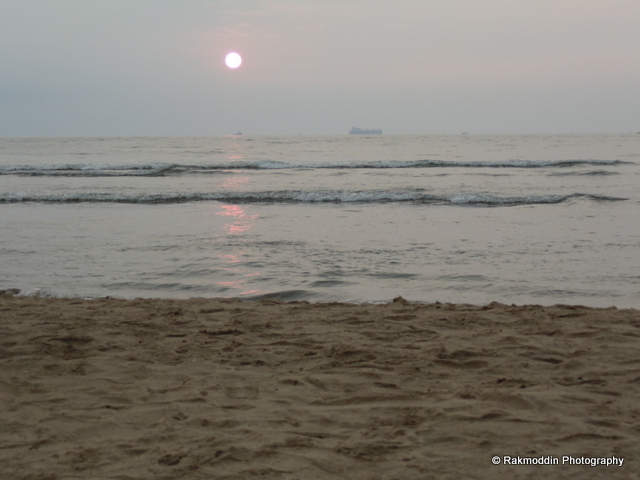 Some of the best beaches in Panjim are Dona paula, Miramar, Bambolim but due to less time we only visited Miramar beach and keep remaining for next plan. 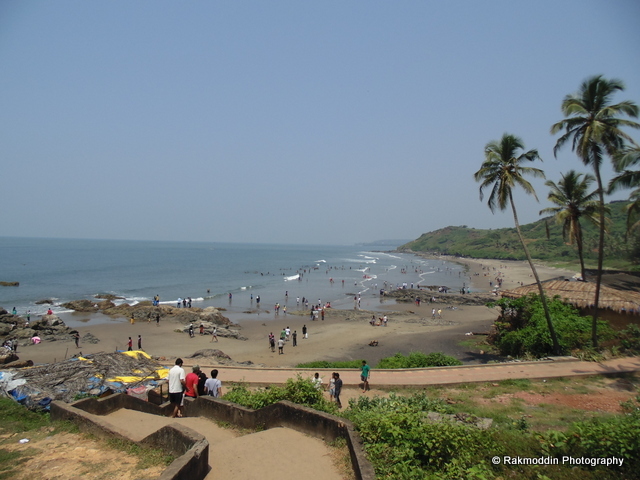 Miramar beach is the closest beach from Panjim city which is the most attractive beach for tourist and it have a splendid views of sunset. 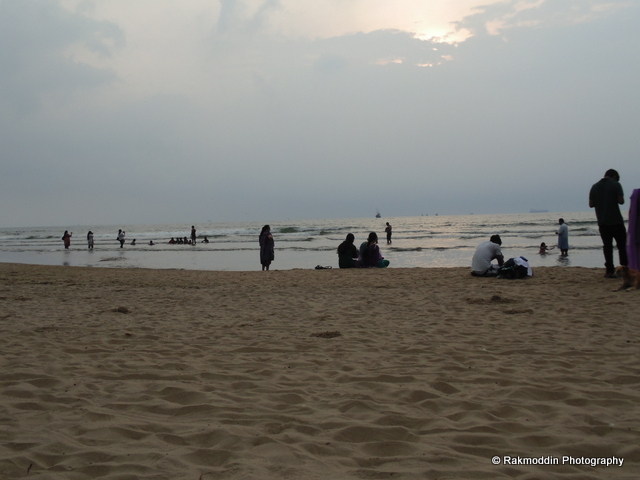 So many people visit this place for evening walk and to enjoy the breathtaking view of sunset. 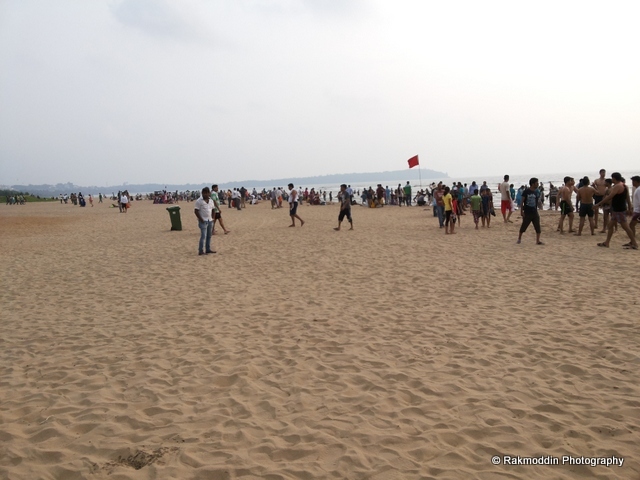 At last we planned for the last happening beach called as Calangute beach which is next to Baga beach and it is the largest beach in North Goa which have largest crowed in North Goa. 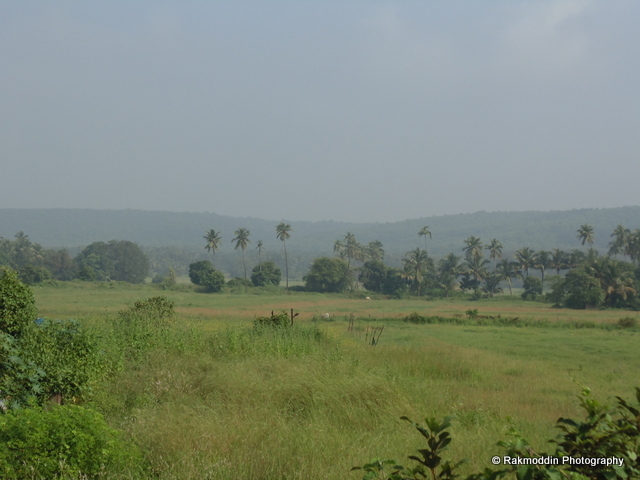 This was the second day spend in North Goa in our Pune-Goa-Pune bike trip and third day we started back to Pune from Goa. 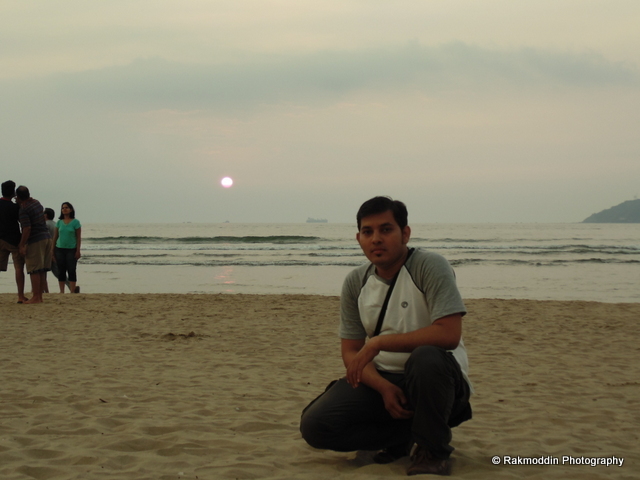 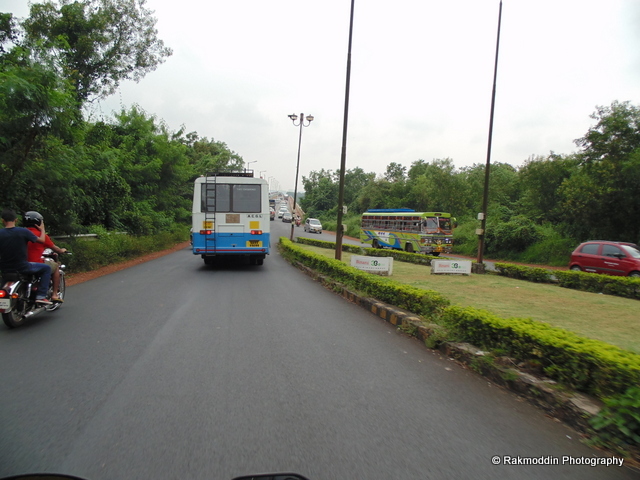 Please find my third day travelogue at click.